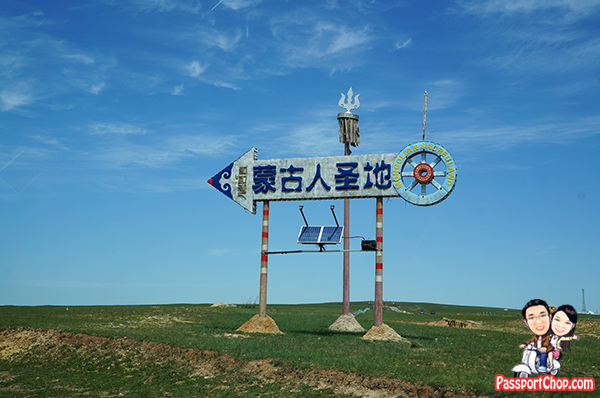 Most tourists come to Inner Mongolia for the grassland experience and 呼和浩特市 Huhehaote (also known as Hohhot or Huhhot), the capital of 内蒙古 Neimenggu (Inner Mongolia) is typically the base from which tourists will depart for these grassland experiences. 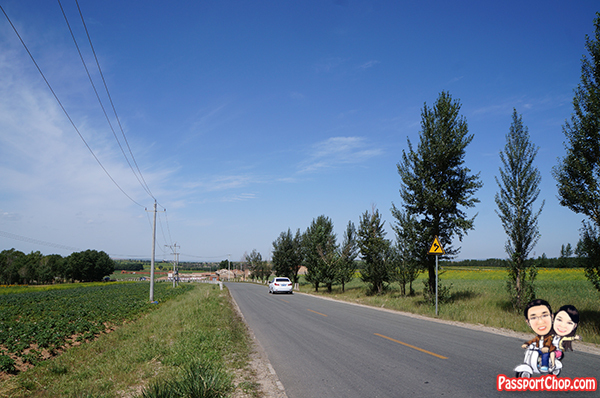 There are a number of grasslands around Huhhot e.g. Gegentala Grassland, Xilamuren Grassland, Huitengxile Grassland. 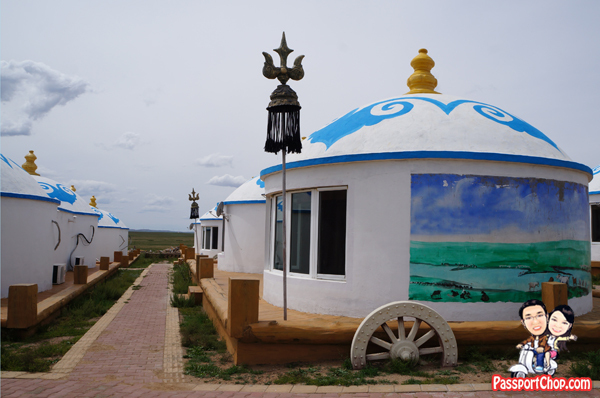 Our Shangri-La Huhhot Grassland Experience was at the Xilamuren Grassland – Xilamuren is the most popular grassland for tourists due to its proximity to Huhhot (2 hours drive away) and the number of grassland yurt resorts. The best time to visit the Xilamuren Grassland is in summer and early autumn. In fact, there is no point in visiting the area during spring and winter – the yurt resorts will be closed and most importantly, there will be no green tall grasses! The average temperature in summer season is about 18℃-21℃. This is the period when the grassland is at its greenest with lush green grass. Do check with Shangri-La Huhhot on the state of the grassland when planning your trip for the Shangri-La Grassland Experience Sometimes the rains during spring season might arrive towards the end of the season and this might resulted in a yellowish grassland with short grass if you come in during early summer season. There is a toilet break at a hotel just before we drive into the countryside; the toilets are modern and quite clean and that’s the reason why almost every car driving to Xilamuren Grassland is using this hotel as a pitstop for toilet break. The hotel cleaners/attendants had even started a mini-business sideline from charging for the use of the hotel toilets – expect to pay abut RMB 1. 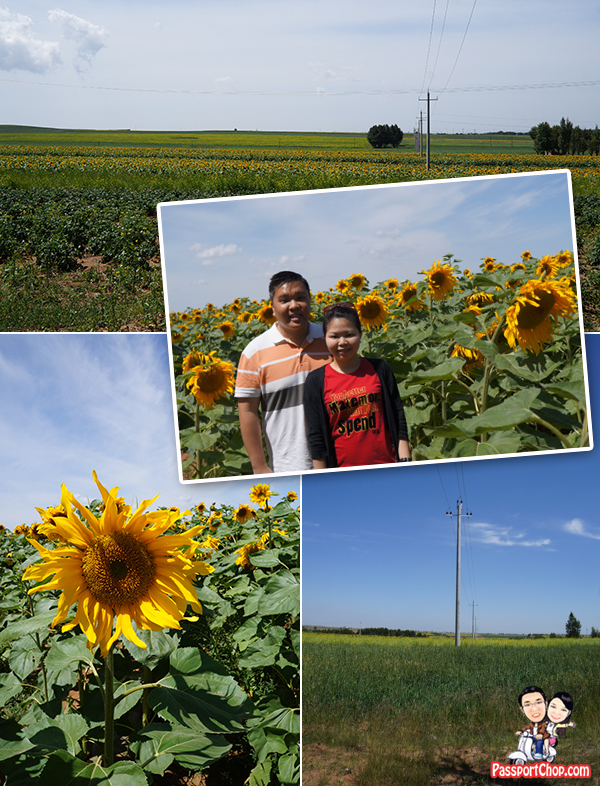 Along the 2-hour drive, we drove by fields of sunflowers – we just had to make a quick pitstop to take some pictures with these sunflowers. :-p There are also different fields of crops and wildflowers that are scattered in different plots along the way. As we entered into Xilamuren Grassland Tourist area, we saw a number of Mongolian yurts spread out across the grasslands and with every photostop e.g. at the entrance to Xilamuren Grassland area, there were touts offering resort stays and various grassland experience package. Even along the drive, touts (as a pillion rider) on motorcycles will try to get your attention and harass you to take up their offers. 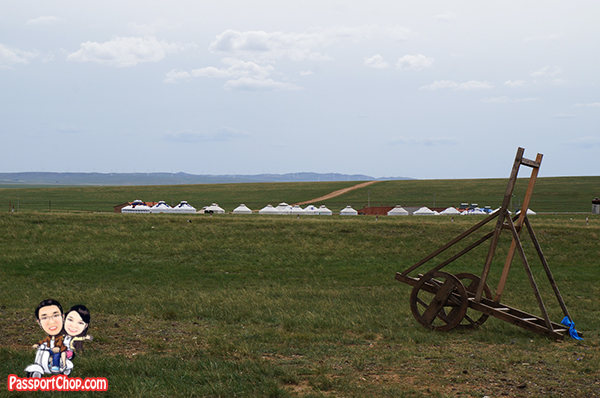 This only shows how competitive the Mongolian yurt resort market is at Xilamuren Grassland! Thankfully, we came here with the Shangri-La Huhhot Grassland Package so we didn’t have to bother with bargaining with touts for resorts of unknown quality or have to take long rides on crowded tour buses (bus rides take longer – about 3+ hours from Huhhot). The resort that Shangri-La Huhhot had partnered with – 蒙古人圣地度假村 Meng Gu Ren Sheng Di is known for its eco-friendly and sustainable tourism destination. 蒙古人圣地度假村 (roughly translated to mean “Mongolian Sacred Land Resort” is located about 10 kilometres north of Xilamuren town, much further away than the various yurt resorts around town. Upon arrival at 蒙古人圣地度假村, you will have to get off your car for a simple Mongolian tradition which involved drinking a cup of very very strong alcohol and the resort staff (dressed in Mongolian traditional costumes) blessing your arrival. By the time we have arrived at 蒙古人圣地度假村, it is about 11am, we settled into the main yurt (which is a big dining hall) at the resort for lunch. 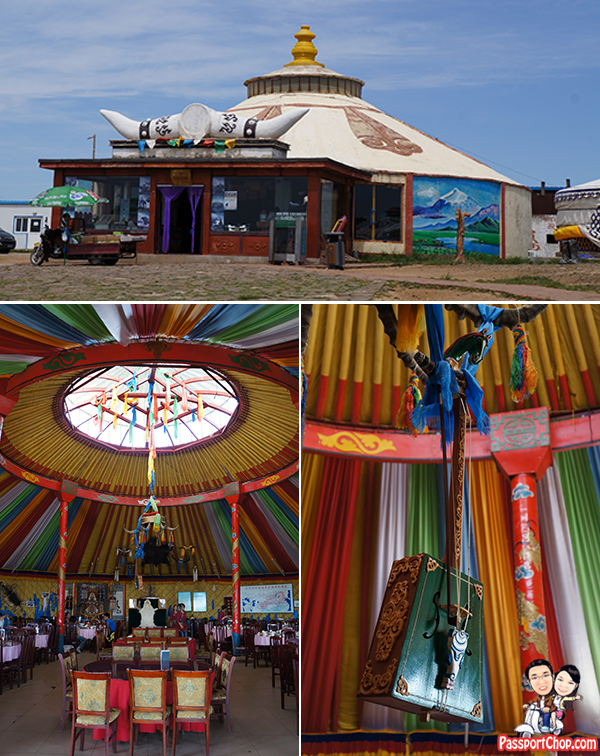 The dining hall is decorated with lots of traditional Mongolian items e.g horse head guitar (see bottom right picture) – a musical instrument which produces sound similar to that of an erhu and Genghis Khan paintings as well as maps of his conquests of the Mongolian plains. Occasionally, there might be traditional Mongolian song and dance performances during lunch and dinner. 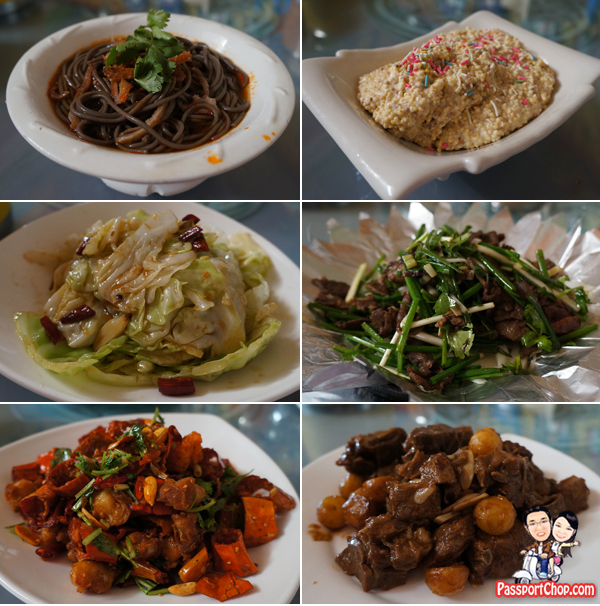 Mongolian dishes typically comprises lamb and beef cooked in different styles but if you are a vegetarian, there are vegetable dishes in the menu too. Some notable dishes at 蒙古人圣地度假村 include 草原风格情 (RMB 35) – a kind of sweet dessert made with Mongolian goat milk and tasted a bit like cereal-wheat mix (see top right picture). The 小土豆烤排骨 (RMB 68) (bottommost left picture) is also worth trying – the potato is very well-cooked and tasty – do note that there are soft bones with the pork meat so you will need to chew hard but it is a slight inconveniences as the crispiness and tastiness of the meat will make the dish quite addictive. 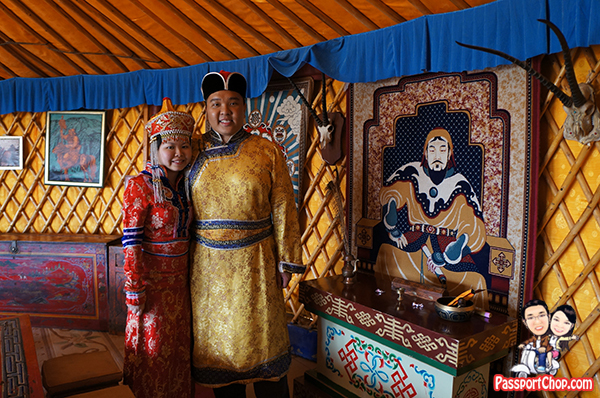 Guests on the Shangri-La Grassland Experience package will enjoy a set lunch at the front row reserved VIP table of the dining hall where you can enjoy traditional Mongolian performances. 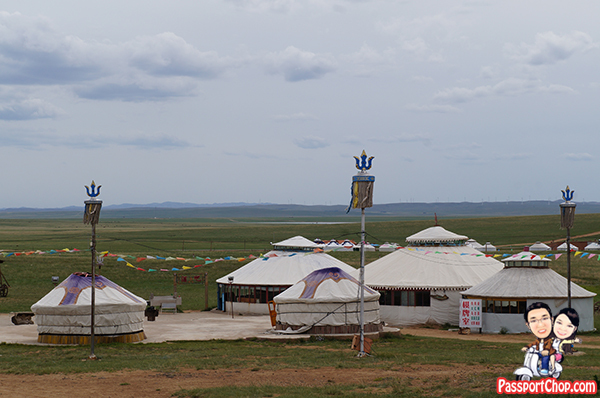 Part of the Shangri-la Grassland Experience package include spending a night out at Xilamuren Grassland in a Mongolian traditional tent (yurt). The traditional yurts are made of compressed sheep wool and are shaped rather like a squat native American teepee, windowless, sheep-smelling and snug. The yurts are supported by latticed wood frames and have thick carpeted floors and the bed is usually furnished with many blankets, quilts, pillows and hot water flasks to protect against the cold nights out in the grasslands. The traditional Mongolian yurts are meant to be mobile and can be folded up and carried by camel to the next destination. Yurts of great warriors e.g. Genghis Khan were permanent structures built atop carts pulled by 20-30 oxes or horses – these are called warrior yurts. Interestingly, the exterior of the Deluxe Yurts (the luxury class yurt in the resort) at 蒙古人圣地度假村 is designed like a warrior yurt (they looked like they are mounted on a cart – see picture below). 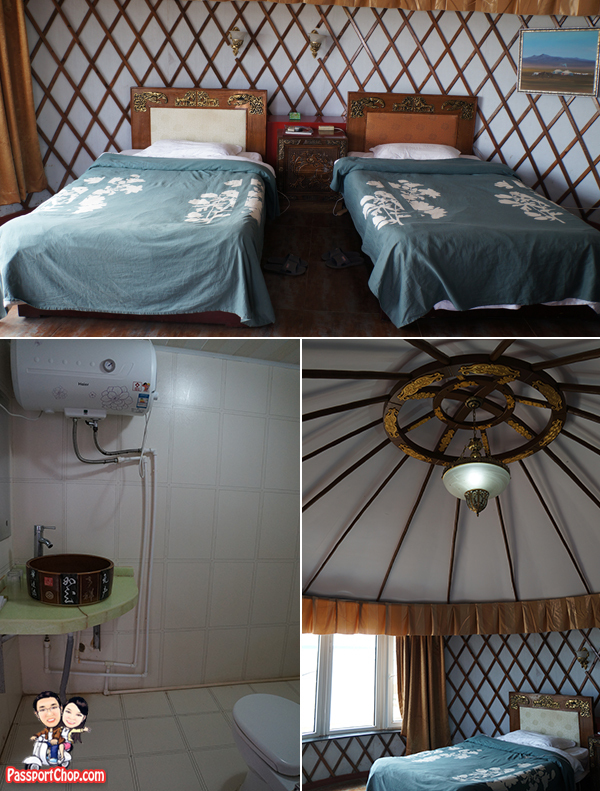 There are 2 classes of yurts – the Deluxe and Basic yurts at 蒙古人圣地度假村. Both have ensuite facilities – the Deluxe Yurts are concrete structures with modern facilities e.g. air-conditioning, lighting and water heater (you don’t have to worry about cold showers in the dark out in the grassland). I think the main thing that distinguishes the Deluxe and Basic class yurt is the spaciousness of the yurts – the Deluxe yurt are considerably more spacious. Complimentary Wi-Fi is also available throughout the resort. Guests on the Shangri-La Grassland Experience package are guaranteed accommodation in one of the Deluxe yurts. The Deluxe yurts for Shangri-La Grassland Experience package guests will be slightly different as Shangri-La staff will arrive at 蒙古人圣地度假村 earlier to setup these Deluxe yurt with Shangri-La mattresses, bedsheets, blankets, towels and linens so that you can continue the “Shangri-La experience” despite staying in a Mongolian yurt. Shangri-La Huhhot will also send a culinary team to 蒙古人圣地度假村 during your stay at the resort and they will prepare a set dinner in the yurt VIP dining room just for you! This is truly a exclusive Shangri-La VIP experience and this also explains the price tag of RMB 11,888 plus 15% service charge for two people for a 3D2N Shangri-La Grassland Experience package. For a quick preview of what the Deluxe Yurts looked like and what the experience at 蒙古人圣地度假村 and Xilamuren Grassland is generally like, check out our Youtube video compilation below. A day out in the Grasslands is just about enjoying the beautiful sunrise and sunset over the plains and taking in the views of the natural scenery (with yurts dotting the green landscape). … ride a horse around the grasslands – the more authentic grassland experience. 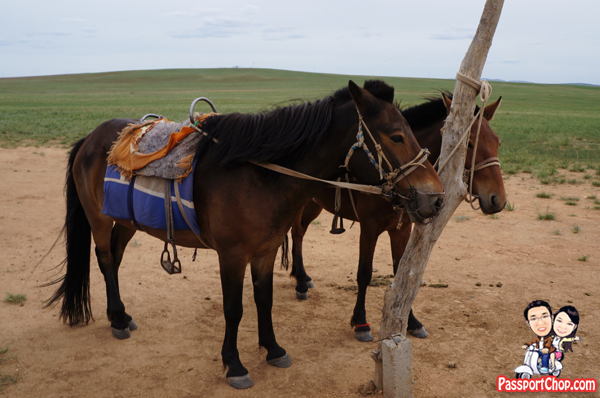 Before the trip to Huhhot, I did some research online on what the grassland experience would be like – there were quite a number of complaints about horses running wild and the risk of falling off these wild horses. Naturally I was a bit apprehensive about riding a horse out to the grasslands. 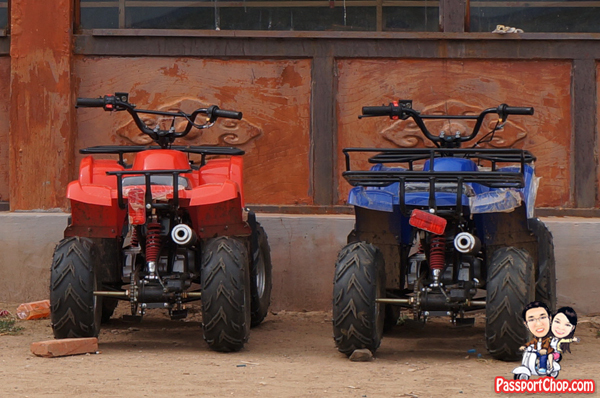 The horse-riding excursions to the grasslands goes by the number of scenic destinations you are going to. The price starts from RMB 300 for 2 destinations; RMB 380 for 3; RMB 450 for 4 and RMB 580 for 5. The destinations include a visit to an Aobao (more on that below), a Mongolian nomad’s house, small swamp in the grasslands and a lake. To visit 2 destinations (the minimum) will take you about 40 minutes to 1 hour and 5 destinations will take you about 4 hours in total. 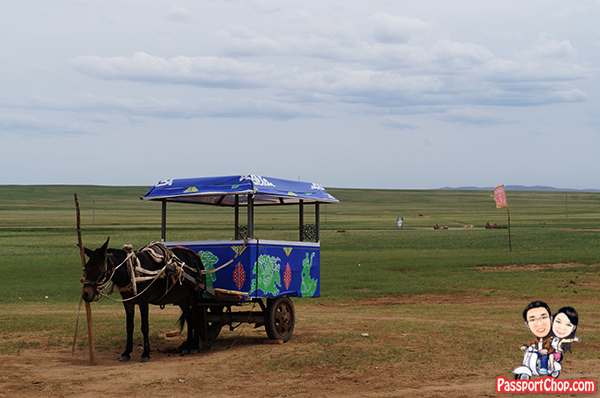 If you are fearful of horse-riding or have back injuries, you can take the horse-cart to the destinations instead. The ride can be quite bumpy too so watch your head (because of the low roof). The first destination typically refers to the general grassland (so there isn’t a stop for it); there is a stop at the second destination – the Aobao 敖包 – rock mounds decorated with prayer flags. Aobao serves as a landmark in the grassland region. 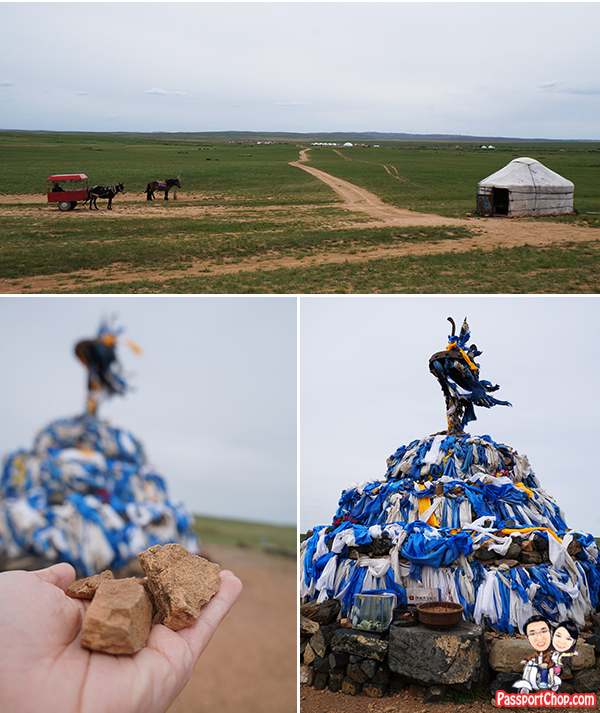 It is also a place of worship for the Mongolian nomads during certain festivals – it is during such gatherings and celebrations that young people can meet and date – thus inspiring the story of 敖包相会 (of 2 lovers who agreed to meet at an Aobao to elope). The Grassland Experience packages are valid from 15 June to 15 September each year for two people sharing one room. It includes all accommodation, meals, transportation and admission fees. Reservations are subject to room availability. For more information and for reservations, please contact the Shangri-La hotel’s travel specialist at (86 471) 332 8888 or visit www.shangri-la.com. Wow, it looks like a really interesting trip! Do you reckon it’s possible to do a self-drive trip instead of a package?